You either die a hero or you live long enough to see yourself become the villain. 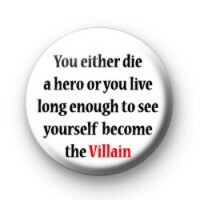 Harvey Dent button badge. Movie quote The Dark Knight.